High school students from the Jennings School District participated in the Passport to Success event Thursday. The event gave students the opportunity to learn essential job skills through mentorship. More than a dozen high school students from the Jennings School District brushed up on their job skills Thursday as part of a program through AT&T. 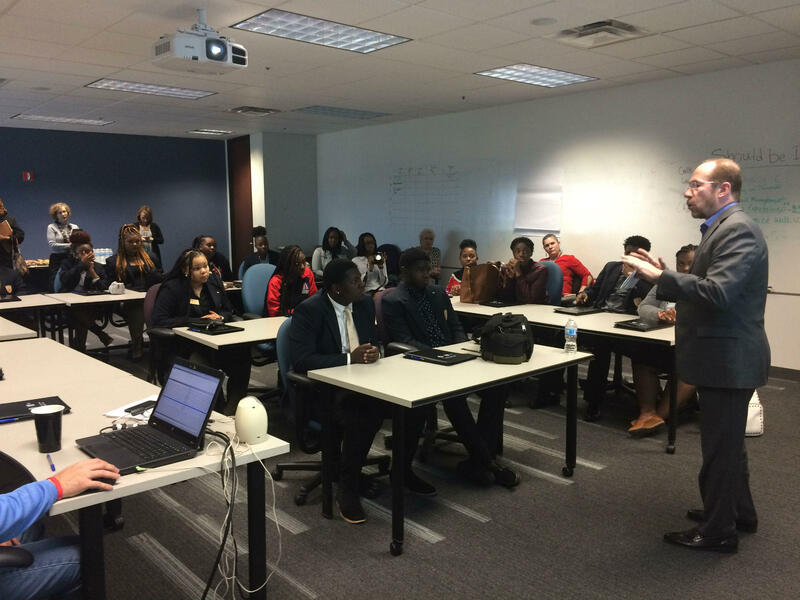 The company’s Aspire Mentoring Academy, in partnership with Jobs for America’s Graduates program, held its "Passport to Success" event at the company’s headquarters in Des Peres. The program allows students to learn essential job skills through mentorship. At the event, students were split into five groups and given passports to attend various sessions throughout the building. The sessions included improving interviewing skills, branding, using social media, creating personal goals and technology. Sharonett Griffin is the senior general clerk at AT&T and is in charge of the Aspire Mentoring Academy. She said the goal is to give students a variety of skills to draw upon. “This is the age that they need this information to kind of help them move along in the rest of their journeys,” Griffin said. During her five years with the program she’s watched students develop portfolios and show up to events looking professional, demonstrating that they’re prepared for the working world, Griffin said. Zion Smith is a senior at Jennings Senior High School & College Prep Academy. When he graduates from high school, he said, he wants to pursue a career in electrical engineering and construction. Smith said the tools from the program will help him achieve that goal. 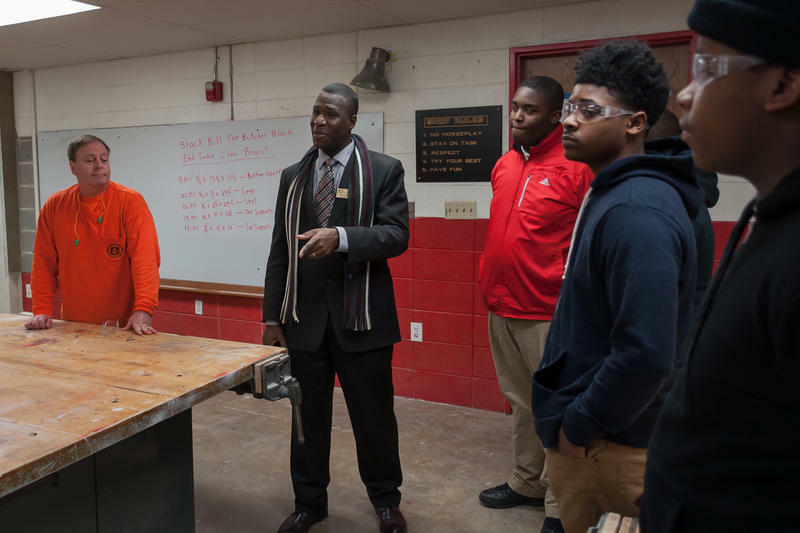 In February, AT&T Aspire Mentorship Academy held a similar event for students from the Normandy School District. Students who participated in the program are also part of the Jobs for America’s Graduates program. All of Jennings High School’s most recent senior class is either bound for college or has found employment, according to the district. That does include McDonald’s for some grads, but district administrators said the fast-food chain is a partner and enrolled students into its college scholarship program. 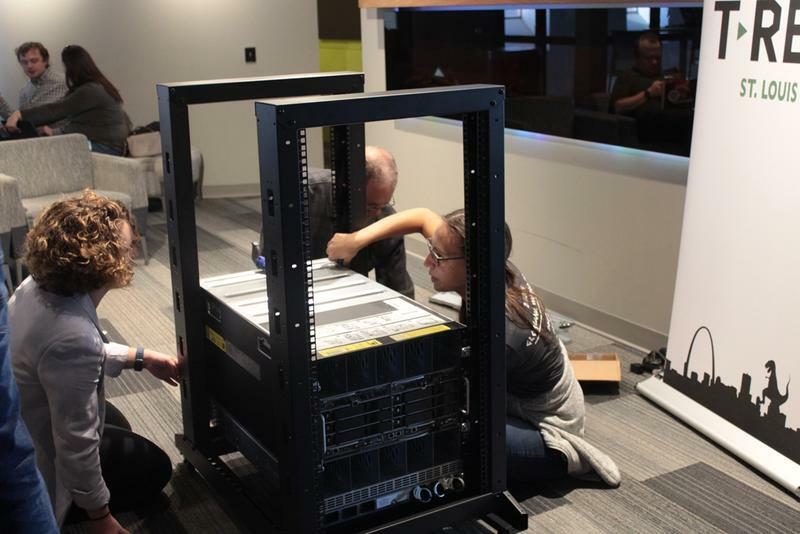 AT&T is reaching out to St. Louis’ tech startup community with a new Open Source Lab. The company is providing about $70,000 worth of servers, technology services and funding to create the lab, which will be located at the tech incubator T-REX in downtown St. Louis. Jomo Castro, AT&T's regional director of external affairs, said it will allow for collaboration between startups, researchers and corporations.